DAVID LE/Staff photo. 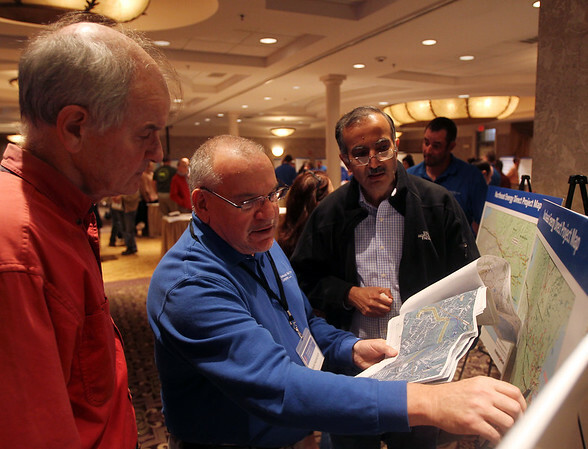 Vivek Soni, right, of Lynnfield, and Joe Malek, left, of North Reading, listen to Kinder Morgan representative Mark Hamarich, as he goes over a few proposed plans at a community meeting held at Spinelli's on Thursday evening. 10/29/15.